I was walking past the shops the other day and a woman approaching looked past me and said cheerily, “Hello. How are you, Peter?” The man behind me stopped and said, “Not too good, actually.” The woman smiled awkwardly and hurried into the shop. Peter stood for a moment and then slowly continued on his way. We use words all the time that don’t necessarily hold to their true meaning. When something is ‘cool’ it often doesn’t mean that it’s at a lower temperature. We’ve become so automatic with this phrase that I’ve had people respond when I haven’t even said it. “Hello.” “I’m well, thank you.” Right. I’m a terrible liar and I would make a hopeless poker player. If my life is not going well, I’m not much good at hiding it. 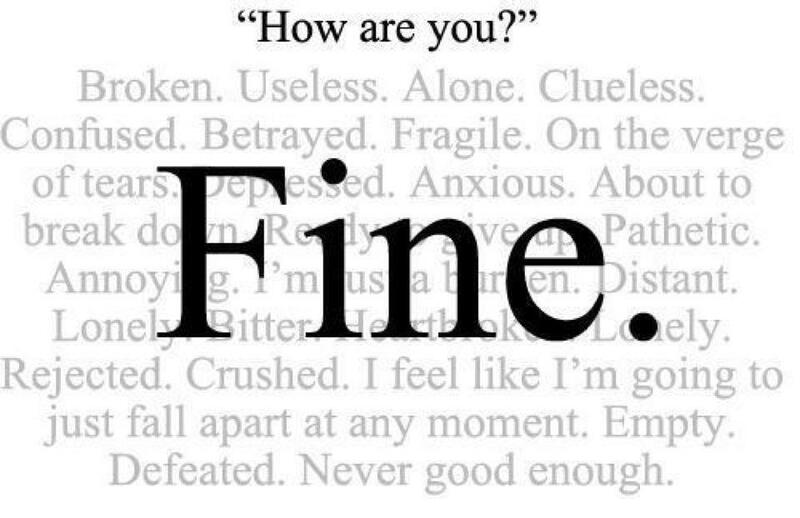 But I’ve learnt to answer most “How are you?” greetings with a pre-prepared response of “I’m okay, thanks. How are you?” because I know most people don’t actually want to know how my day is going. Of course, many of our interactions are necessarily kept on a casual level. I’m pretty sure the bank teller doesn’t really want to know that my father is very ill or that I’m worried about my kids. But maybe it’s time to reclaim the phrase “How are you?” and to use it in the way it was intended. Maybe we should start answering the question honestly when we’re asked. If someone doesn’t really want to know, they’ll soon learn to say something else. “Hello. Nice to see you.” We should ask the question as if we mean it and be prepared for an answer.